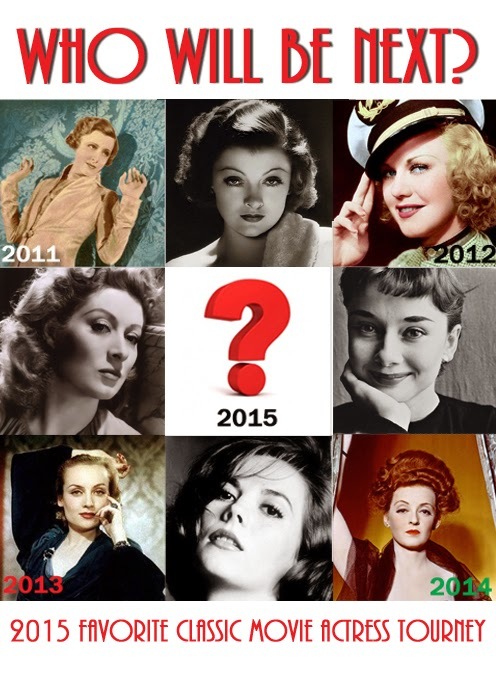 And it's official — Natalie Wood is the winner of the 2015 Favorite Classic Movie Actress Tournament. Myrna Loy hung with her for a couple of days, then Natalie powered past her and won going away, 323-173. She joins Irene Dunne, Ginger Rogers, Carole Lombard and Bette Davis in the actress hall of fame. I love a motivated fan base. Every actress in the tournament is a worthy contestant. 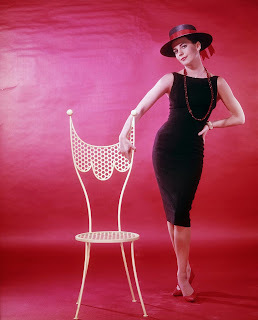 The difference depends on whose fans spread the word and get out the vote, and this year, Natalie Wood's fans used Facebook, Tumblr and Twitter and put together a sophisticated campaign for their favorite. Good job! And I have to say, Natalie Wood is a worthy champion, if only for that scene in Miracle on 34th Street where Edmund Gwenn teaches her how to imitate a monkey and she promptly writes a 3,000 word essay about Charlie Chaplin. Okay, screw you — you remember movies your way, I'll remember them mine. 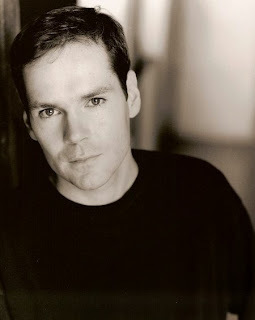 I saw today that Jonathan Crombie died — age 48, brain hemorrhage. If you don't know his name, maybe you remember him as Gilbert Blythe in the 1980s era mini-series, Anne of Green Gables. That's the story of a redheaded orphan girl (Anne Shirley, played by Megan Follows) raised, reluctantly at first then with great affection, by an elderly brother and sister who had sent off for a boy to help work the farm and wound up with a sweet, mouthy, eccentric know-it-all with an unwitting talent for making the world glad she's in it. I stumbled across the series one evening when I was in law school and became a devoted fan, reading the Lucy Maud Montgomery books it was based on while lounging at my desk up in the law review office. 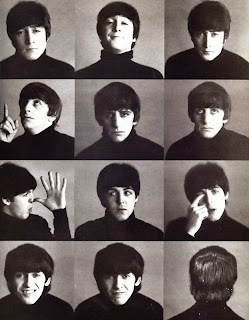 I guess that made me an oddball, but then I never gave a monkey's rump what anybody thought about anything that I liked. 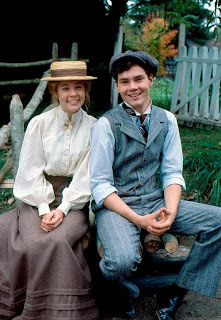 I loved Anne Shirley, but I identified with Gilbert Blythe, the boy who loved her from near and afar. Seems there was a redhead of my own I loved, mostly from afar in those days. Close up now. Crombie continued to act, most recently in an episode of The Good Wife, but he'll always be remembered as Gilbert Blythe. Well, he was a good one. 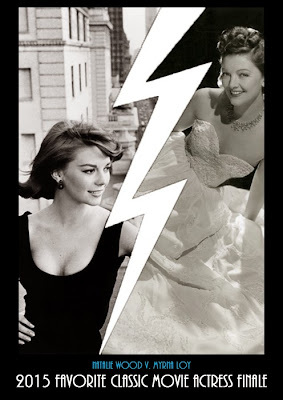 Word went out via Blogger, Facebook, Tumblr and Twitter, and fans turned out in droves to vote in the semi-finals of the 2015 Favorite Classic Movie Actress Tournament with Natalie Wood besting Greer Garson, 543-318, while Myrna Loy came from behind to defeat Audrey Hepburn, 305-234. Those are record numbers for the tourney, with Natalie Wood more than doubling Ginger Rogers' 2012 record of 264 votes in a single match. We're hoping for more of the same for the final. To vote, click the highlighted link and head over to All Good Things. 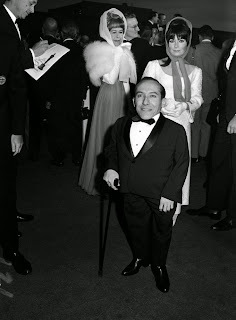 Back in January, I posted a list of my favorite performances by an actress in the 1960s, and a couple of weeks ago, Mary Field challenged me to come up with a similar list of actors. 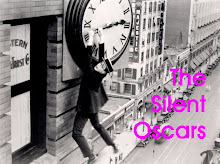 Ms. Field has posted her own list of the top ten greatest acting performances here. Nothing so ambitious for me — I can barely narrow down the top ten performances of any given year — but here is a short chronological list of my personal faves from between 1960 and 1969. 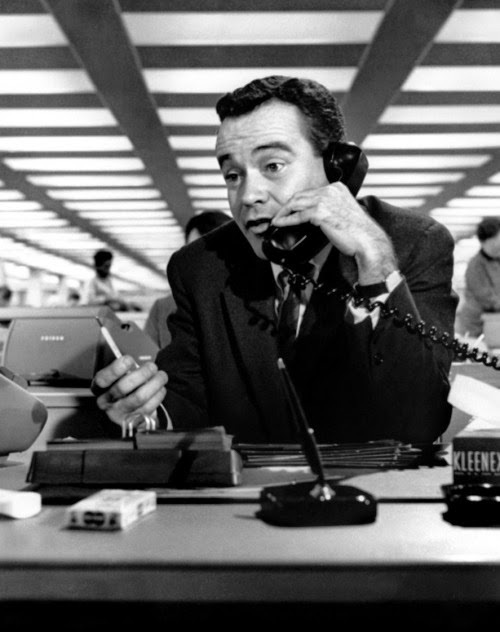 Jack Lemmon (The Apartment) — his finest non-drag performance, maybe his finest, period. And in one of my all-time favorite movies, too. 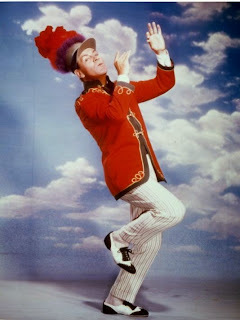 "Mrs. MacDougall, I think it is only fair to warn you that you are now alone with a notorious sexpot." 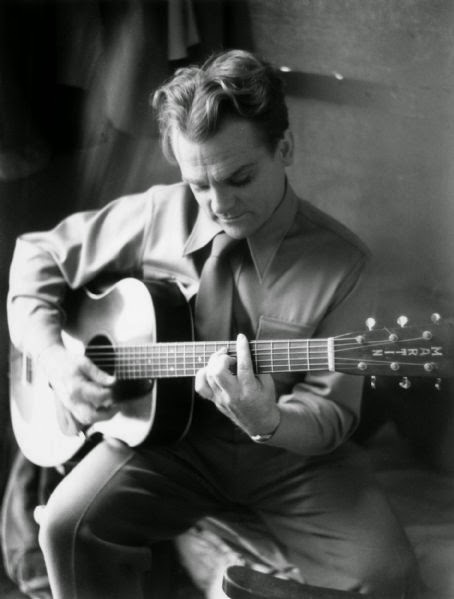 James Cagney (One, Two, Three) — not one of Billy Wilder's better-known comedies, but Cagney's performance is finger-snapping good and Katie-Bar-The-Door quotes him every time we go to a baseball game. "You know what the first thing is I'm going to do? I'm going to lead the workers down there in revolt! "Put your pants on, Spartacus!" Tony Randall (Lover Come Back) — My favorite Tony Randall performance, here playing a millionaire CEO living in the shadow of his late father. "You don't realize how completely he dominated me ever since I was a little boy. Just once I spoke back to him. He cut a switch from a tree and gave me such a whipping, in front of this girl. It was a shattering experience." "Pete, all kids get whippings." "But I was twenty five! The girl was my fiancée!" Robert Preston (The Music Man) — True story: in law school, my pals and I learned all the words to "Marian the Librarian" and sang it to a girl. Named Marian. Who was an undergraduate librarian. Sometimes life just serves it up to you on a platter. 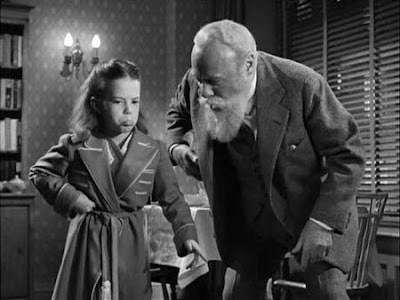 "Oh, my dear little librarian. You pile up enough tomorrows, and you'll find you are left with nothing but a lot of empty yesterdays." "Are all American officers so ill-mannered?" 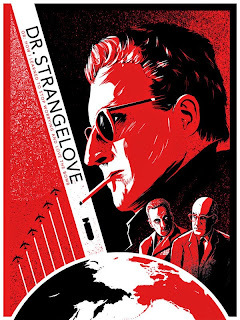 The entire cast of Dr. Strangelove or: How I Learned to Stop Worrying and Love the Bomb — you know, a friend once confessed she watched this movie and didn't understand why it was supposed to be a comedy. We're not friends anymore. "Mr. President, I'm not saying we wouldn't get our hair mussed. But I do say no more than ten to twenty million killed, tops. Uh, depending on the breaks." The Beatles (A Hard Day's Night) — if you have to ask, I can't tell you. "Oh, yeah. The lads frequently sit around the telly and watch her for a giggle. One time, we actually sat down and wrote these letters saying how gear she was and all that rubbish." "She's a trendsetter. It's her profession." "She's a drag. A well known drag. We turn the sound down on her and say rude things." Michael Dunn (TV's The Wild, Wild West) — maybe the greatest television villain ever. My favorite, anyway. "Oh, no, Mr. West! I'm afraid I shall never die. Death is too ordinary. The humiliation would kill me." 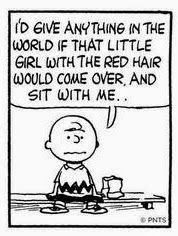 Charlie Brown (TV special A Charlie Brown Christmas) — reaching deep for pathos, comedy and blistering insight into the emptiness of our consumer-driven culture, this round-headed kid really brought it. "How about cats? If you're afraid of cats, you have ailurophasia." 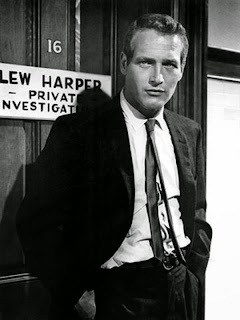 Paul Newman (Harper) — I like Paul Newman. I like his movies, I like his pizza, I like his salad dressing. I like everything there is to like about Paul Newman. 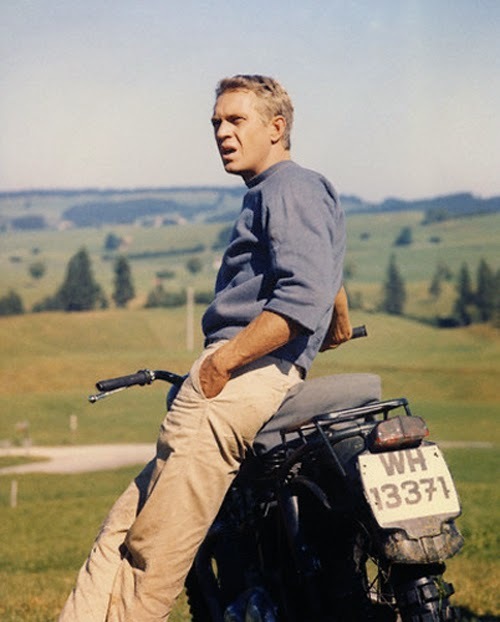 Except Paul Newman. How do you account for that? I kid. But I do like Paul Newman. "What do you do this kind of crummy work for, anyway?" "What, are you trying to be funny? I do it because I believe in the United Nations and Southeast Asia, and — you think it's funny if your life depends on what goes through the Panama Canal? What about the English pound? 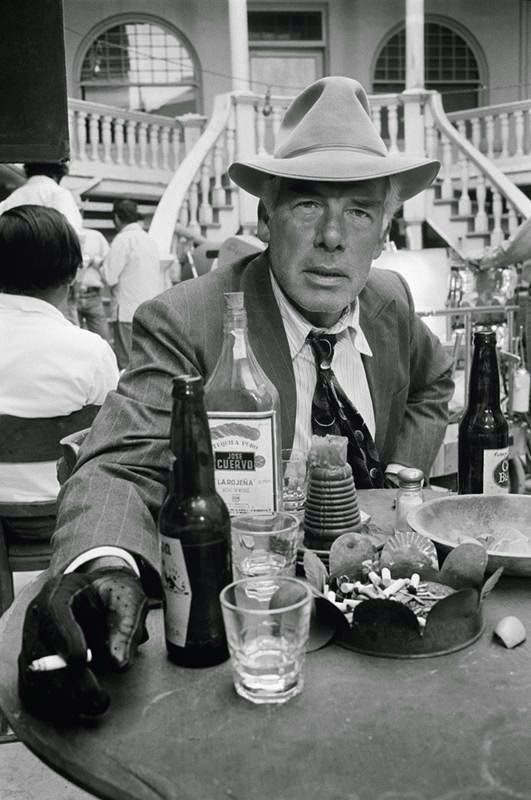 I'll tell you something — as long as there's a Siberia, you'll find Lew Harper on the job." "Are you putting me on?" "Jeez, I don't think so. " Lee Marvin (The Dirty Dozen) — Katie-Bar-The-Door once gave me this movie as a Valentine's Day present. No wonder I love her! "I owe you an apology, colonel. I always thought that you were a cold, unimaginative, tight-lipped officer. But you're really quite emotional, aren't you?" Zero Mostel (The Producers) — probably one of the three most quoted movies when my pals Muleboy and Bellotoot get together. "You mean 'oops,' don't you? Just say 'oops' and get out! " 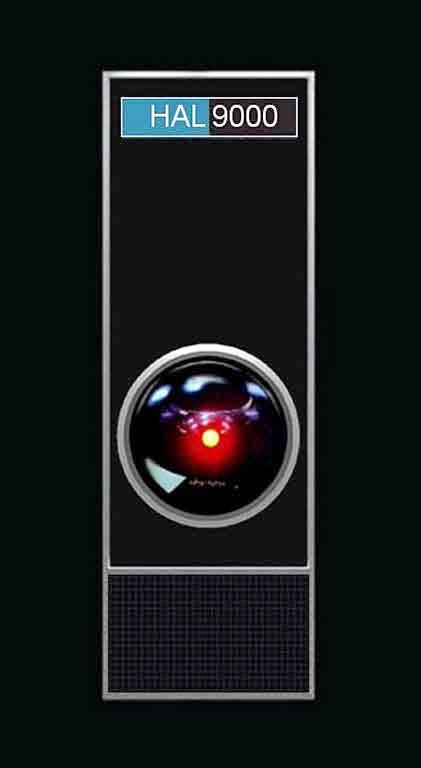 Hal 9000 (2001: A Space Odyssey) — saw this in the theater as a kid in 1968, and I say, while a lot of computers turned in fine work in the 1960s, particularly the Robot on Lost in Space, the Hal 9000 topped them all. 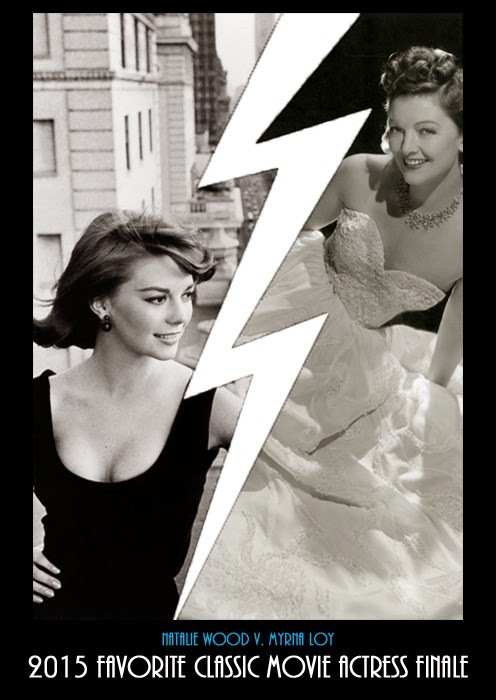 The final four of the 2015 Favorite Classic Movie Actress Tournament has begun — Natalie Wood versus Greer Garson and Audrey Hepburn versus Myrna Loy. To vote, click the highlighted link and head over to All Good Things. To read part 1 of this essay, click here. 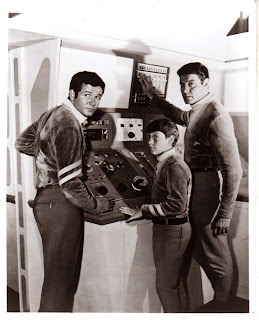 Although CBS executives liked Lost in Space enough to put it on 1965's Fall schedule, producer Irwin Allen made two major additions to the show that would radically change the trajectory of the series. The second addition was that of Dr. Zachary Smith, a saboteur, unintentional stowaway and the Robinsons' chief nemesis. Smith came at the suggestion of the newly-hired story editor, Tony Leader, who noted that the pilot lacked any discernible conflict. 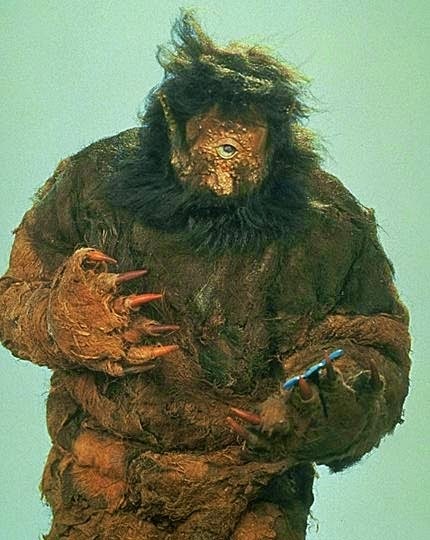 Without a villain, the series risked falling into what Leader dubbed a "monster of the week" format. "[W]e realized we really needed that irritant within the family," said the pilot's co-author, Shimon Wincelberg. "Someone who would get others into trouble, and that's where Dr. Smith came in." Cast to play Smith was character actor Jonathan Harris, a 15-year veteran of stage and television. 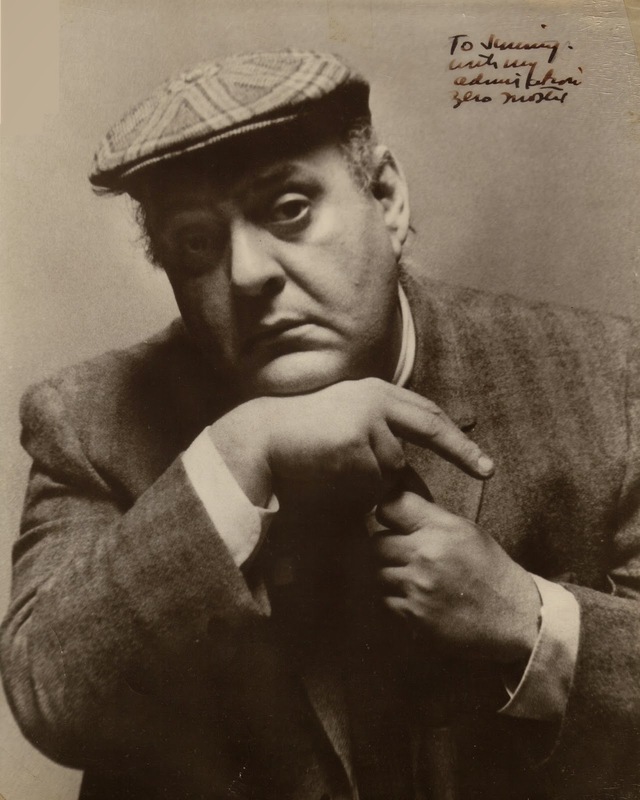 Born in the Bronx to Jewish-Russian immigrants, Harris earned a pharmacy degree at Fordham University but chose to pursue acting instead. 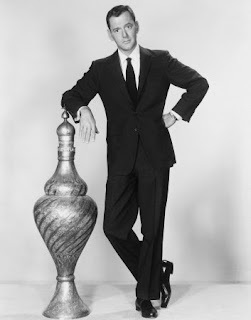 Irwin Allen offered Harris the part, sight unseen, on the strength of his work on the television series The Third Man which starred Michael Rennie (The Day the Earth Stood Still). 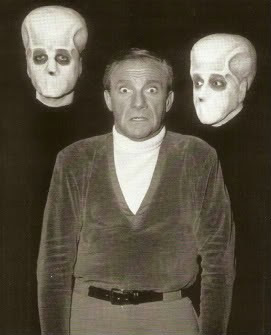 "I was ushered into 'the presence,'" Harris said later, describing his first meeting with Irwin Allen, "and there he was behind a huge desk surrounded by a group of his 'retainers' — also known as 'yes men' in the industry — and it was very strange, it was the wildest way to get a job that I'd ever experienced. He said, 'Do you want to be in the series?' And I said, 'Well, I don't know — I haven't read a script.' And Irwin said, 'Somebody give him a script!' Somebody did ... Then he said, 'You know we did a pilot and you weren't in it.' I said, 'And?' He said, 'Now you're in it!'" 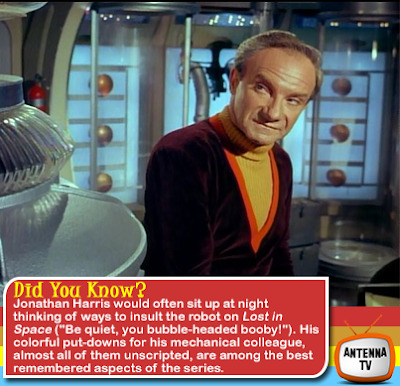 Since the rest of the cast had already been signed, Harris was relegated to last place in the credits, a situation that didn't sit well with the experienced actor until he came up with the idea of a weekly "Special Guest Star" billing, an industry first. Harris received this unique billing for every one of the 83 episodes of the show's three-year run. 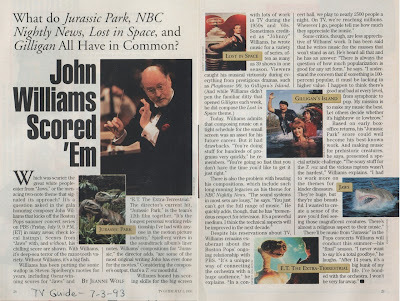 Allen and his team also made several other changes as the process went on — commissioning "Johnny" Williams (who would later win five Oscars for scoring such movies as Jaws and Star Wars) to write a proper theme and score; tweaking the ship's design and redubbing it the Jupiter 2; changing Don West from a scientist to a pilot; shortening the flight time to Alpha Centauri from 98 to five-and-a-half years; adding a voice-over narration and a weekly cliffhanger ending, etc. 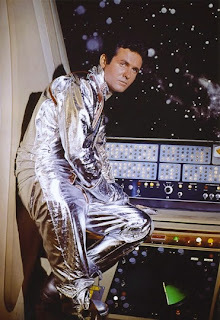 Inserting the new cast members and the other changes into the Robinson's origin story rendered the pilot as written unuseable. 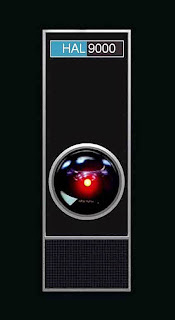 But having already spent $600,000, an astronomical sum at that time, Allen was determined to reuse as much of the original footage as possible. 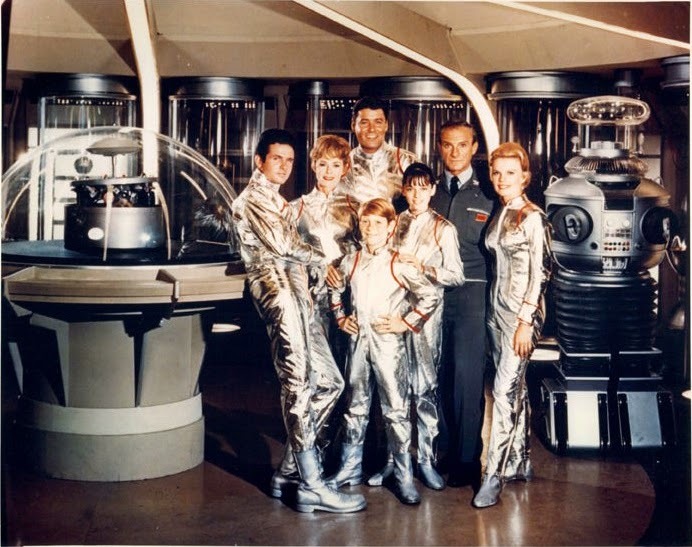 The solution was to build a separate episode around each of the special effects set pieces — the liftoff, the meteor storm, the crash landing, the cyclops, the monsoon — and then fit Smith and the Robot into the narrative, explaining away their absence at key moments. 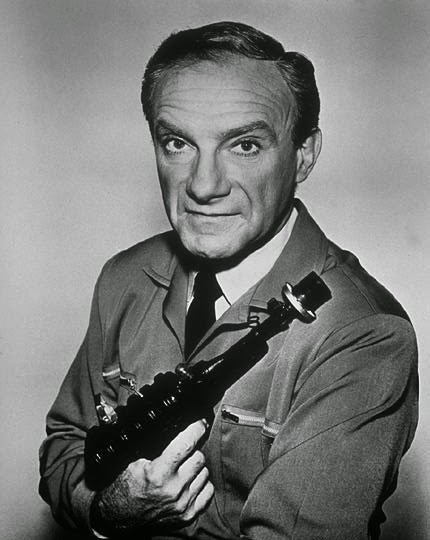 The original pilot's co-author, Shimon Wincelberg, wrote the teleplay for the new opener and outlined what would become the first five episodes. 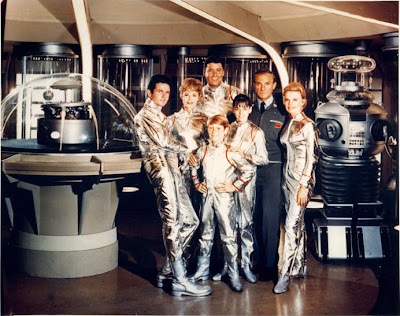 The series' new five-part backstory opens on October 16, 1997, with the Robinson family and their pilot Don West preparing to blastoff on a five-and-a-half year voyage to colonize the Alpha Centauri star system. A saboteur, Dr. Smith, is trapped on board during liftoff, and when the mission's environmental control robot goes berserk, the ship becomes hopelessly lost in space. After an encounter with what appears to be a derelict space ship, the Jupiter 2 crash lands on an uncharted world. There, the family struggles to survive in the new world's hostile environment, battling giants, earthquakes, raging seas — all the special effects menaces the original pilot threw at them and few more to boot. Throughout, Smith butts heads with the Robinson, attempting on more than one occasion to kill the family and hijack the ship, only to grudgingly realize that his survival is inextricably linked to theirs. If the original pilot lacked a conflict — other than what pop culture critic John Kenneth Muir recently summed up as the series' "one core concept: the pioneer spirit" — the writers who refashioned the origin story went about creating conflicts galore. What's more, the conflicts arise not just from external sources — the Robinsons against Dr. Smith or the Robinsons against the elements — but from within the group itself. 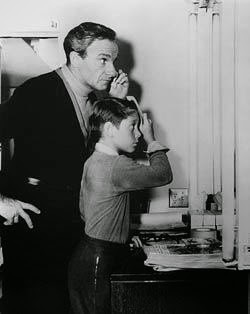 Professor Robinson (Guy Williams) and Major West (Mark Goddard), as the scientist and military man, respectively, each bring skills to the table that make them uniquely qualified to lead the group, but also leave them with blind spots that could get everyone killed. "You're in no position to give orders," Robinson tells West. "Oh, but you are?" West says. "It's too bad there isn't judgment to go along with that self-confidence." When the tension between the two finally comes to a full boil, each proves to be both right and wrong, a refreshing ambiguity the series could have further exploited but didn't. 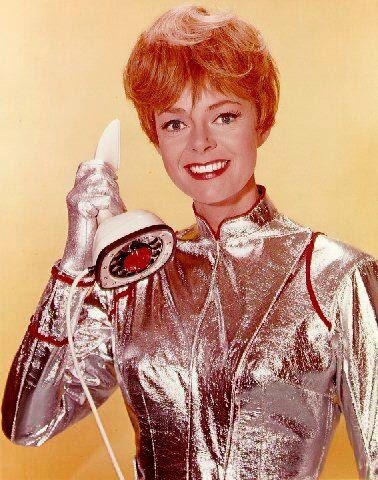 Particularly gratifying is the effort the writers made to bring June Lockhart's Maureen Robinson to the fore and give her something to do other than — as was literally shown in the original pilot — just washing clothes. "Don't you have an opinion?" she snaps at her husband when the group is debating whether to return to earth or press on. "No, I don't," he says. "Not until we've checked every component inside out and know exactly how we stand." "And then I'll let the computer make the final decision." 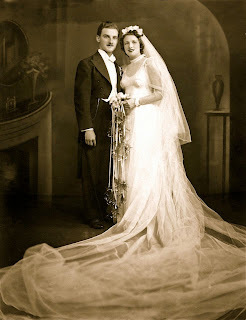 "And will the computer also take into consideration a man's love and concern for his family? Or has all that been put into cold storage for the duration?" 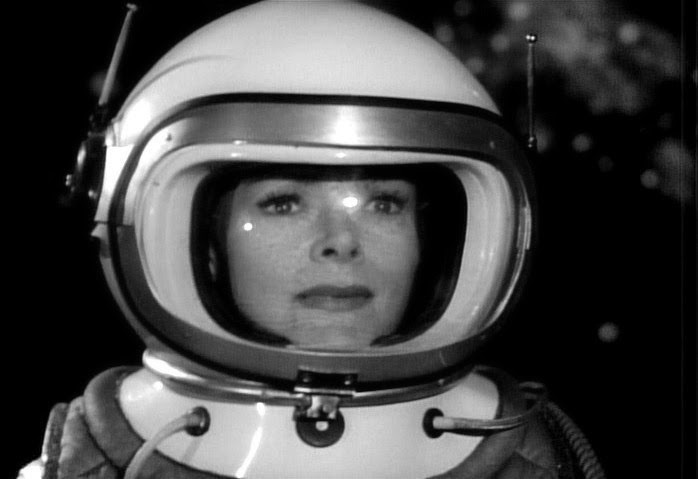 Later when the Professor's line breaks during a space walk, it's Maureen who suits up and rescues him. "Lost in Space tends not to be remembered by fans for such triumphs," (Muir again) "perhaps because much of the time Maureen is also depicted engaging in stereotypically 'female' duties: doing the laundry and making dinner. That’s a shame, because there are incidents, peppered throughout the series, when the Robinson matriarch steps out of the 'subservient' wife figure and acts courageously, responsibly and with more than a little bit of ingenuity." The retrofit was seamless and nearly every minute of the pilot wound up in the series. The characters are interesting, the story exciting and the special effects — those from the original pilot plus a terrific new sequence involving the derelict alien ship — are excellent. 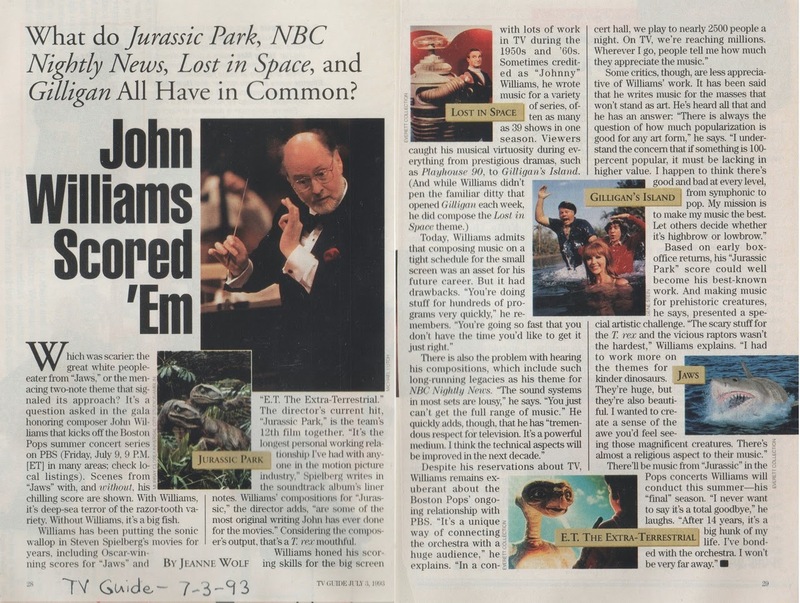 The result plays as a stand-alone mini-series, the only time other than the two-part "Keeper" episode where the events of one episode affected the episode after it. Pretty much the only person unhappy with the tone of the opening episodes was the actor playing the single-most interesting character in them. "[Smith] was written as a deep-dyed snarling villain," Harris said, "and he bored the sh*t out of me — because there is no longevity in deep-dyed snarling villainy." Deep-dyed snarling villainy is right! Wincelberg had envisioned Smith as a literal heavy (to be played by Carroll O'Connor, later of All in the Family) and before the opening credits of the very first episode have begun, Smith kills an armed guard and programs the Robot to destroy the spaceship with all hands aboard. Hey, it could have been worse — Wincelberg originally had him killing a little girl! "He knew from the very beginning," Bill Mumy said last year in an interview for the Archive of American Television, "that this snarling, nefarious spy/saboteur would be old quick, that the audience would just want to see him killed off. 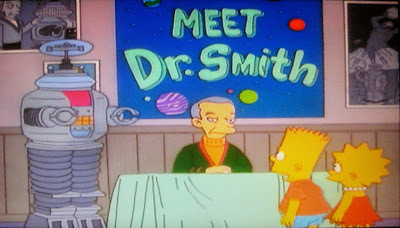 So he very quickly started turning the character into a comedic kind of Dr. Smith that we all love to hate." "A series means you get paid every week," Harris explained. "That's very, very important." 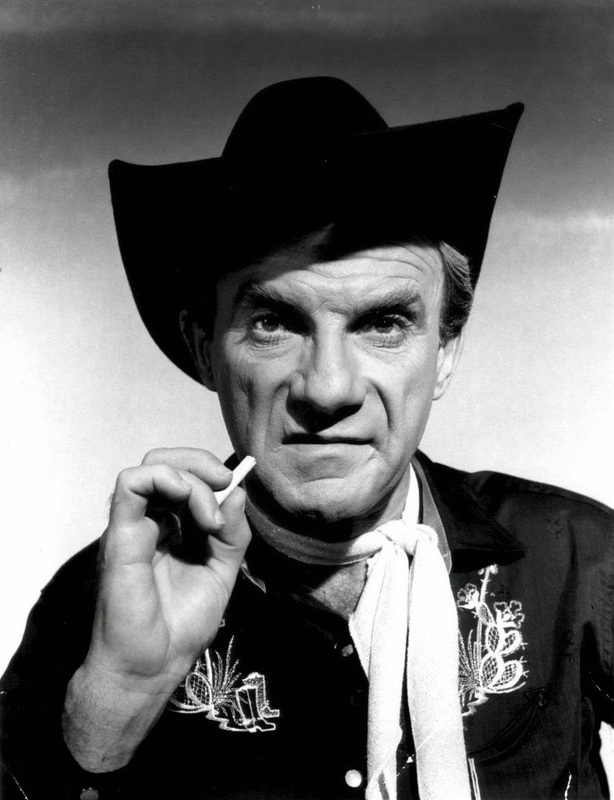 Harris had made a career specializing in comedic villains, and he immediately set about transforming the character into something more to his liking. "I would be called into Jonathan's trailer," Mumy said. "Jonathan would say, 'Let's go over the scene, I've changed all the dialogue!' And he did! He single-handedly created the character of Dr. Smith." The changes came quickly. 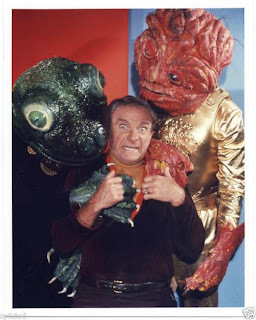 In the second episode, Smith first displays his cowardly horror of all things alien. In the third episode, we first see Smith's childish temper. By the fourth episode, Harris was playing him as lazy, effete and not above using children as human shields. 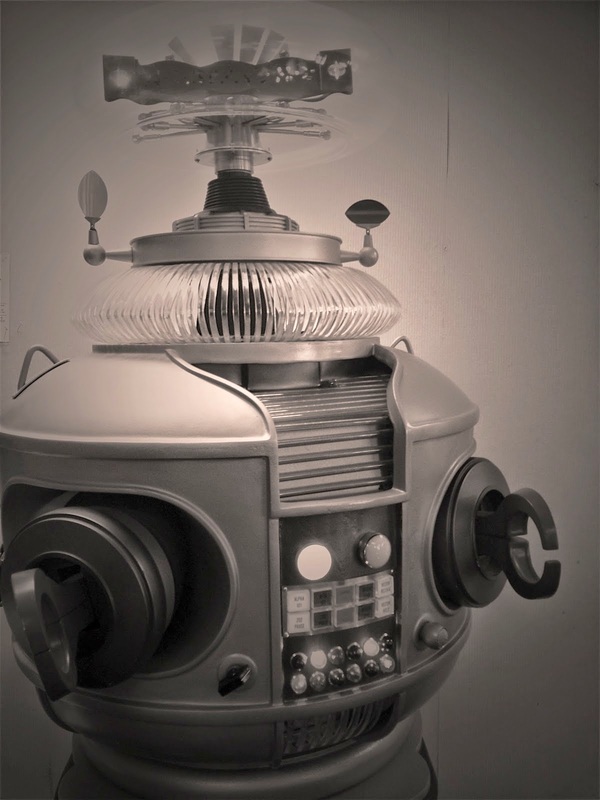 In the fifth episode, he began bantering with the Robot, a byplay that would provide the foundation of the show's most enduring relationship. 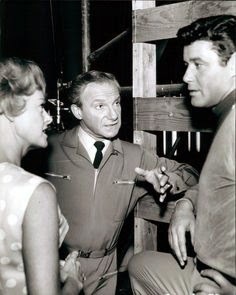 "He became a funny character, the kind of guy who would say, 'let's you and he fight — I'll hold your coat,'" said Carey Wilber who wrote seven episodes of Lost in Space but who might be better remembered for scripting the character of Khan for an episode of Star Trek. 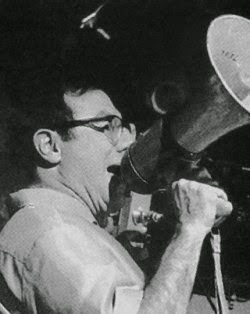 Irwin Allen soon confronted Harris about the changes he was making to his character. "I know what you're doing," he said, wagging a finger in the actor's face. "Do more!" "And I did!" Harris said. "He's the only actor I ever worked with on any show," Mumy said, "who had carte blanche — producer's approval — to write all his dialogue." With that kind of license, coupled with an ability valued on a weekly television show to turn out scene after scene in a single take, Harris took over the show. I can't blame either Harris or Allen. Television characters, like water, find their own level. Smith was what the fans wanted to see and Allen, in the business to turn a profit, was happy to oblige them. Like baseball in Bull Durham, acting may be a religion full of magic, cosmic truth, and the fundamental ontological riddles of our time, but it's also a job. "I loved that character," Harris said. "Of all the many, myriad characters I have played in my life, he surely is my favorite." Many take as an article of faith that Harris ruined the show with his campy clowning, but that's a lazy kind of faith and, like Lost in Space itself, long overdue for a reevaluation. 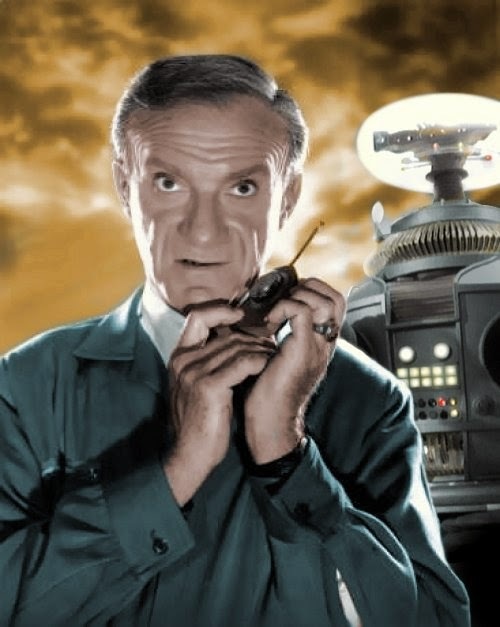 The fact is, as much as I loved (and still love) the straight sci-fi adventure aspects of the series, fifty years later it's the comedic villainy of Dr. Smith and his long-running verbal jousts with that mechanical Jiminy Cricket, the Robot, that the culture has chosen to remember. That's not nothing, that's a classic. 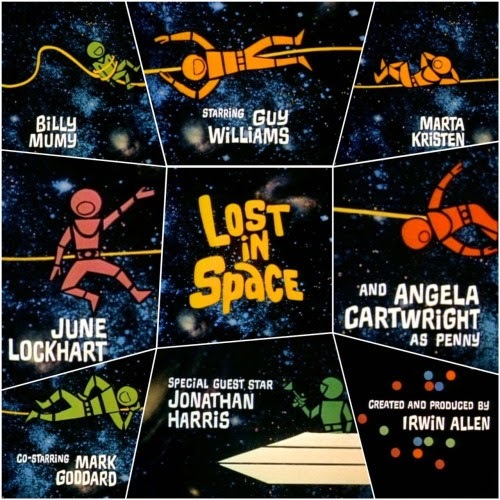 Up Next: Lost in Space, Part 3: Warning! Warning!